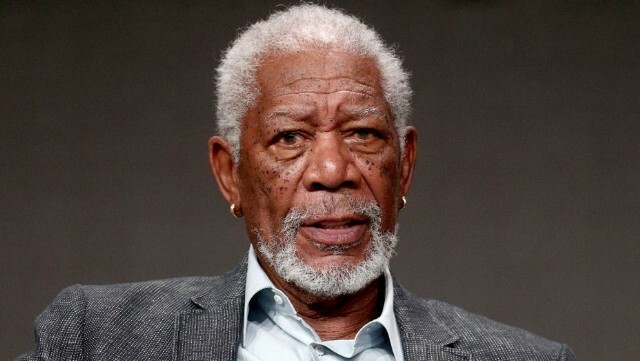 Eight women have accused Morgan Freeman of sexual misconduct in a CNN report about the actor’s alleged inappropriate behavior, describing multiple troubling incidents throughout his career. In all, 16 people spoke to CNN about Freeman as part of the investigation; eight witnesses and eight who claim to be victims. The outlet’s entertainment reporter Chloe Melas — who co-authored the article — was the only victim who spoke on the record. A young production assistant said that in the summer of 2015, while she was working on Freeman’s bank heist comedy Going in Style, she was subjected to several months of harassment. She alleged that Freeman repeatedly touched her without permission, resting his hand on her lower back or rubbing her lower back, and frequently made comments about her figure and clothing. At a spokesperson’s request, CNN emailed “a detailed list” of the accusations against Freeman but received no response at the time of publishing. CNN’s investigation into Freeman’s behavior came after the news company’s own entertainment reporter, Melas, claimed to have experienced harassment from the Oscar winner during a press junket interview for Going In Style. Melas said she was informed that Warner Bros. was unable to corroborate her account because “only one of Freeman’s remarks was on video and the Warner Bros. employees present did not notice anything.” Melas and her supervisor later agreed not to cover the movie. Warner Bros. confirmed to CNN that what Melas said was accurate but declined further comment. A rep for Caine declined to comment, and a rep for Arkin said the actor was not available to comment. Another former employee said she was present when the male employee told several people about the incident. Other male employees claimed that Freeman, on multiple occasions, asked women to twirl for him. Two former staffers and a writer on Freeman’s Madam Secretary said one of the twirl requests came at Freeman’s 79th birthday party, which was thrown by Revelations and attended by approximately 30 people. A former exec at Revelations said Freeman exhibited more uncomfortable behavior towards women at the party. Another former employee said Freeman people would be shocked that he was capable of exhibiting such behavior. May 24, 9:45 a.m. Updated with Freeman’s statement. This piece originally appeared at The Hollywood Reporter.